Freeform Introduces 31 Nights of Halloween! Hocus Pocus – Photo courtesy of Freeform. Inversion can be a good thing – as in this year’s Halloween celebration at Freeform, where the number of nights of spookiness and fun has switched from 13 to 31! For the entire month of October, Freeform will be featuring annual treats like Hocus Pocus and Tim Burton’s The Nightmare Before Christmas alongside new behind the scenes programs like Decorating Disney: Halloween Magic. The fun begins on Monday, October 1st with ParaNorman. The complete 31 Nights of Halloween schedule follows below. Hulu has acquired exclusive streaming rights to MGM’s Emmy®-Award winning miniseries Fargo and its epic historical epic series Vikings – as well as series from MGM’s library. Season One and Two of Vikings are now streaming on Hulu. 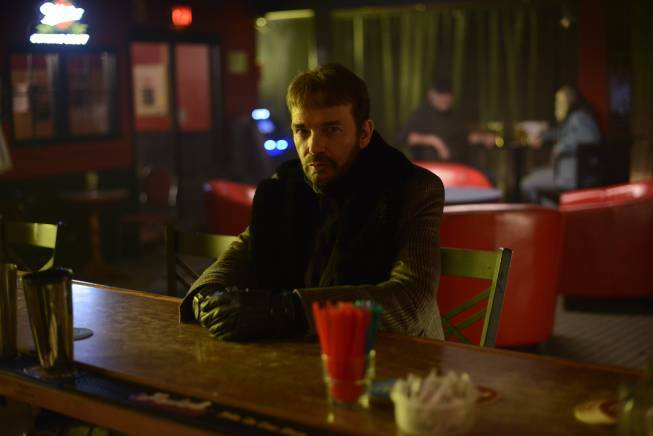 Fargo’s first season will debut on the service in 2015. MGM library titles include Stargate (SG-1, Atlantis, Universe), The Addams Family, The Outer Limits, Dead Like Me and more. For more detals, follow the jump. Bunches of biographies to discuss on this week’s episode of GeekScholars Movie News! To begin, the crew discusses the news that Emile Hirsch (Speed Racer, Into the Wild) will play legendary comedic actor, John Belushi (Animal House, The Blues Brothers). Plus, updates on the biopic of musician James Brown called Get On Up, and an interesting project starring Justin Timberlake (Friends With Benefits), about the founder of an influential record company in a movie called Spinning Gold. ABC Family Scares Up Some Goodies for Its The 14th Annual ‘13 Nights of Halloween’! ABC Family has made Halloween a true festival of scary sights and sounds with its annual 13 Nights of Halloween programming – and this year’s edition is looking pretty good. From the creepily comic Addams Family to the sunny Sabrina the Teenage Witch, to the darkly funny Monster House, the network has put together a super collection of Halloween ghosts, goblins and goosebumps! This year’s event kicks off and Harry Potter and the Half-Blood Prince and concludes with a new episode of Pretty Little Liars. For a complete schedule for the 14th Annual 13 Nights of Halloween, follow the jump!